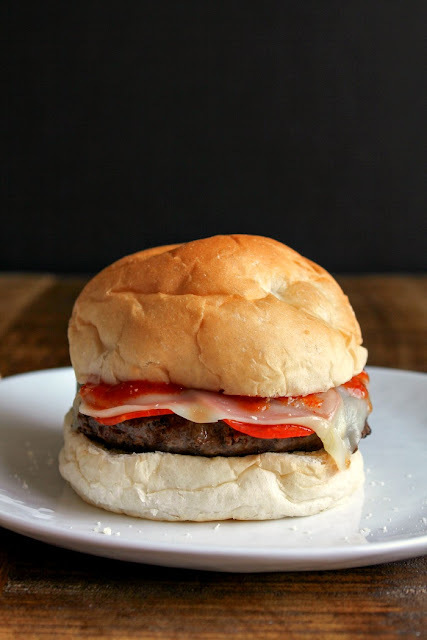 Jazz up burger night with these loaded Italian Pizza Burgers! They're a big hit with both kids and adults alike! I've been grilling up a storm this summer, and one of our family favorites are burgers. Both of my boys adore burgers, and since they got me a new grill for Mother's Day, they love them even more! I've learned to cook a burger to perfection, with beautiful grill marks on the outside, crispy edges and ooey gooey cheese, and the perfect tender pink center. After all these years, I finally did it! I probably make burgers once a week now, so it's nice to changes things up a bit and not always eat them the same way. I came up with the idea to make Italian pizza burgers, and they have been a huge hit ever since we had them for the first time. 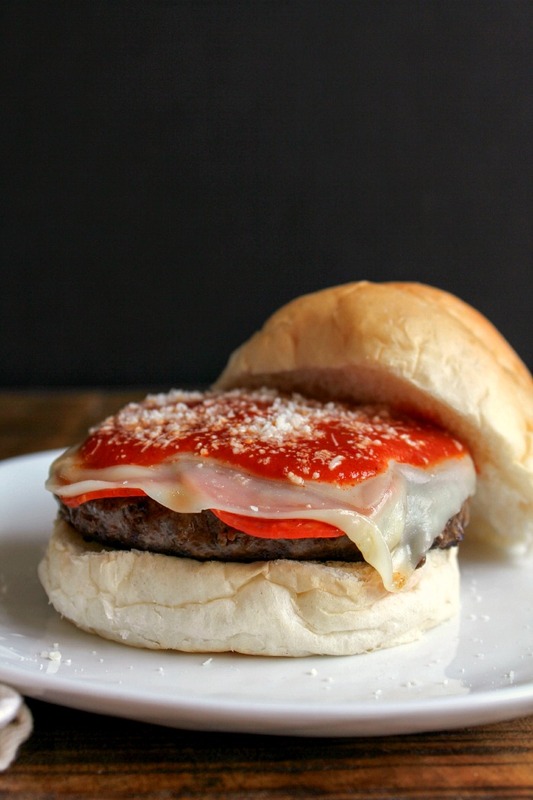 A juicy burger patty topped with pepperoni, mozzarella cheese, pizza sauce and a sprinkling of Parmesan cheese. What could be better? If you love your veggies, some grilled mushrooms or peppers would be a fantastic addition, too. The options really are endless. So go wild. Go crazy. But please make sure you make this burger soon. Your family will love it, I guarantee it! Preheat a grill, or a grill pan on the stove, over high heat. Sprinkle the beef patties with the Italian seasoning, salt and pepper on both sides. Place on the grill, or grill pan, and cook for 5 minutes on the first side. Flip over and cook the second side an additional 4-6 minutes, depending on how you like your burger done. A minute or so before the burgers are done cooking, lay five slices of pepperoni on top of each one, followed by two slices of cheese. Close the grill lid, or put a top on your pan, so the cheese can melt. Place the burgers on the bottom buns. 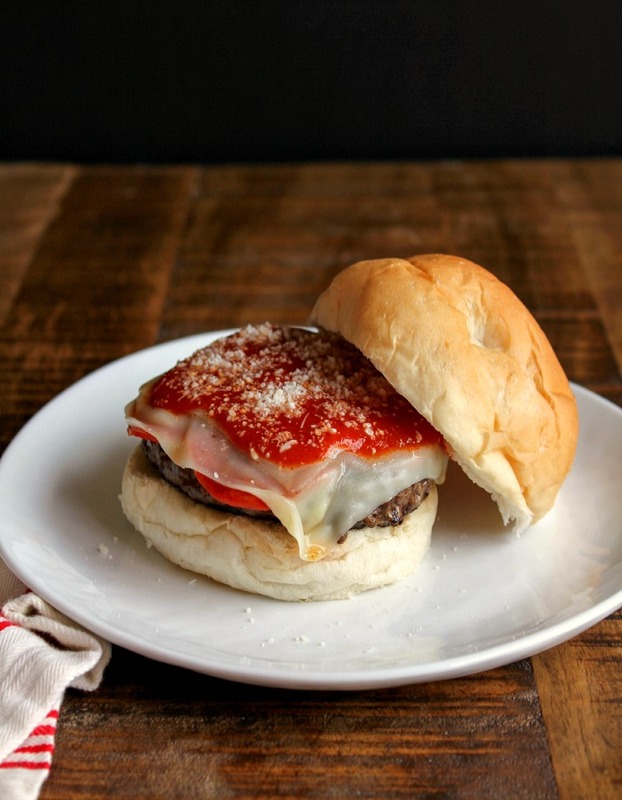 Add a tablespoon or so of marinara sauce to each burger, then sprinkle with a tablespoon of the Parmesan. Close the burgers with the top bun and serve. This recipe was originally published in the Spoonful of Foodies 2015 Burger eBook! 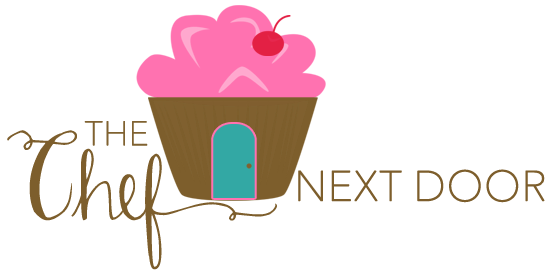 You can download your FREE copy here and get access to all of the amazing recipes!